It is exciting to be a woman born during these times of increasing feminine respect and choices. Most of the asteroids are named after female GODDESSES and they were discovered in the late 1800's during the times that women like us (our grandmothers and great-grandmothers) were fighting for their Right to Vote, Right to be treated without abuse, Right to be given a wage equivalent to a man's when doing the same work, Rights to deciding how large or small their family is to be...and so many more rights that we have not even begun to think about. The ASTEROID GODDESSES therefore are the HERALDS of a new age and a new time of respect for all that is feminine on our planet. 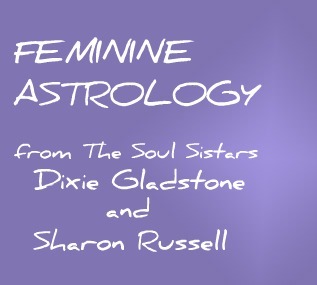 When we locate these particular feminine archetypes in our personal astrology chart, they can help to show us how the Universe is asking YOU to work or function as a woman in order to make your contribution as a New World Soul. 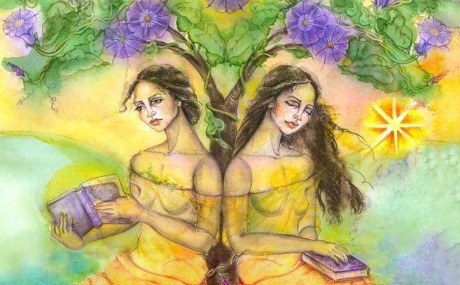 You are helping to bring in the qualities of feminine LIFE for this new time on our wonderful planet. When you have the knowledge and understanding of your natural style and way of functioning through these asteroid Goddesses you can actualize the complete range of your femininity. Perhaps you will recognize these Goddesses and how they work or would like to be working in your life! There are four main Goddesses you may wish to become familiar with in your chart. These are VESTA, CERES, JUNO and PALLAS ATHENA. VESTA (or HESTIA as she is referred to in the Greek myths) is Goddess of your Sacred Center, your Inner Flame. When you contact Vesta you become a Woman Unto Herself. And you have the right to be so! Vesta has been referred to as "The Faceless Goddess" because she is removed from our every day dramas and traumas. She keeps us centered in ourselves so that we can accomplish our task. We call on her when we are in need of getting the focus back to our Self. When scattered from overwork or tiredness she can help us realign with the FLAME at our TRUE CENTER! CERES (DEMETER as in the Greek myths of Demeter and Persephone) is an Earth goddess, the "Mother of Agriculture", who brings food and sustenance to the peoples of Earth. Ceres nourishes all life — plant, animal and human. She represents issues of caring and sharing and of our self-worth. Ceres is the Mother inside of us. Awakening her can awaken our own ability to nourish our self and others. 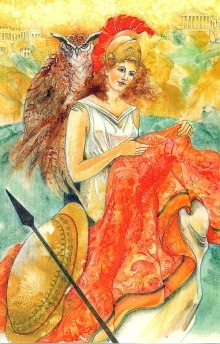 Her ancient mythology helps us to understand cycles of loss and renewal. When her daughter, Persephone, was taken into the underworld by Pluto, Ceres fell into a deep sadness and winter came to Earth. When Persephone was returned to her, Ceres in her great joy brought new life to the Earth and springtime came again. In astrology the placement of your Ceres shows how you nourish others and what you need to nourish and sustain your life. She is the largest asteroid and has the status of a small planet in our solar system. JUNO (HERA as she was called by the Greeks) was one of the prominent Goddesses of old. Before patriarchal times she was known as the "Queen of Heaven" and "Great Lady". She was a powerful queen in her own right, long before her marriage to Zeus. She ruled over the heavens and the earth and was responsible for all aspects of existence, the seasons, and the weather. Our word 'galaxy 'means "mother's milk". Fields of lilies sprung forth wherever her milk fell to earth. The peacock was a symbol of her beauty, luxury, and immortality. Juno knows how to love, how to join with another to bring a great richness to life, how to stay committed during times of hardship and separation and how to forgive. Wherever she is placed in your astrology chart, the asteroid Juno will give you a sense of enduring commitment, fidelity, and the ability to love. This may or may not include marriage. She will accompany you on your entire journey throughout your lifetime as Maid, Mother, and Crone. She will show you how to live in your relationships with love and grace and how to become a complete Woman. Juno was a great BEAUTY both within and without. PALLAS ATHENA was one of the few Goddesses who retained her Greek name during modern times. As a Goddess of Wisdom and Creative Intelligence one of her symbols is an owl. She is also shown with her shield, spear, and helmet as protectress of the city of Athens in time of War. In times of Peace, Athena taught humanity how to be civilized by learning domestric crafts such as weaving, sewing, the use of the plow, ox cart and chariot, and the bridle for horses. Athena's skills developed and shaped the world around her and united citizens into the way of Culture. Her skills were necessary for both War and Peace and they involved strategy, purposeful practical planning, and execution with tangible results.She was known for giving wise counsel. You can invite the Athena archetype into your world by going to school, developing your business, your military or political skills, by managing or running a household - all of which reward the use of clear thinking while making decisions and setting goals.